Max Borenstein is the screenwriter for the upcoming Godzilla 2014 movie. Who better to pen the prequel in comic book form? The comic Godzilla: Awakening, begins ten years before the movie and focuses on the son of Dr. Serizawa, from the original 1954 film, tying both the original and 2014 film together. Recently ComicBook.com interviewed Mr. Borenstein and asked how the idea of a comic book prequel got started, and how he filled in the gaps without giving away the movie. Borenstein: Nothing’s easy, but certainly we had an idea of what we wanted to do when it was first mentioned, that had to do with filling in certain elements of backstory that had popped up over the course of making the film and so it’s where my mind immediately went when Legendary said they wanted to do it. I’m a fan of the Pacific Rim graphic novel, I’m a friend of Travis’s and I had seen it, read it and thought it was awesome so when they mentioned the idea of doing something that would tie into our Godzilla universe, I was really enthusiastic and excited to do that. ComicBook.com: What’s the challenge of filling in these gaps without giving a way too much of the movie’s premise? Borenstein: The interesting challenge of doing this has been to tell a story that feels coherent and whole in and of itself and that dovetails with the film we’re telling but that is something stnad-alone that you don’t need the film to appreciate and that you don’t need to have read to appreciate the film. One of the structural challenges of it is that of course it takes place years before the film begins and in the film — it ends, without spoiling it, in such a way where only a small, select group of people are aware of the existence of Godzilla. So one might leap to the conclusion that in the film, only a small handful of people, starting out, are aware of the existence of Godzilla. I’m not saying that’s the case but obviously one might leap that conclusion. The movie would serve then, obviously, as the world’s introduction to this creature — to this force of nature. That’s a creative limitation, where we said, “Okay, how can we play in the sandbox of Godzilla before and on the timeline of the events of the film and yet, if you destroy a big city, you’re going to be giving away the ghost. So that was really an interesting challenge and it was really fun to kind of play with solutions. 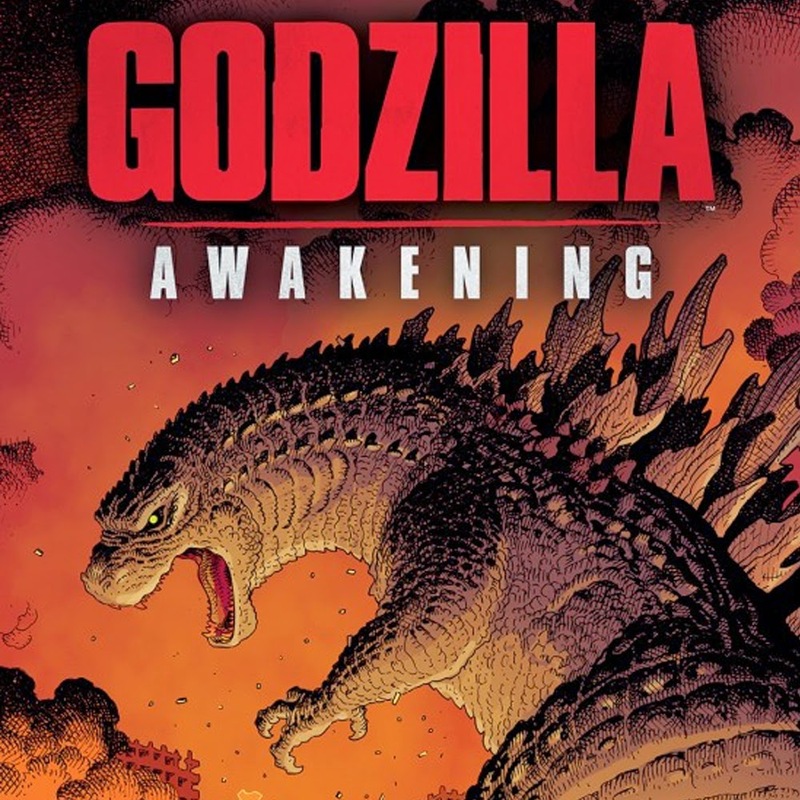 You can read the rest of the interview at ComicBook.com's post titled "Godzilla writer Max Borenstein On Setting the Stage With Godzilla: Awakening Graphic Novel"